4/9/13 Tarpon fishing very good this morning! Well the april islamorada tarpon fishing was much better today than yesterday, what a difference a day makes sometimes. We ran all over and fished about 8 different spots, and did an extended day, only to get 1 tarpon bite and 1 shark bite… Unfortunately both fish we lost. Today was a different story we landed 2 big tarpon right off the bat, jumped a couple others after, and also caught several sharks. Great news for the islamorada tarpon fishing report. Later today we caught some ladyfish and a handful of trout and mangrove snappers for dinner. Tried a few spots at the end of the day for redfish, but nobody was home. 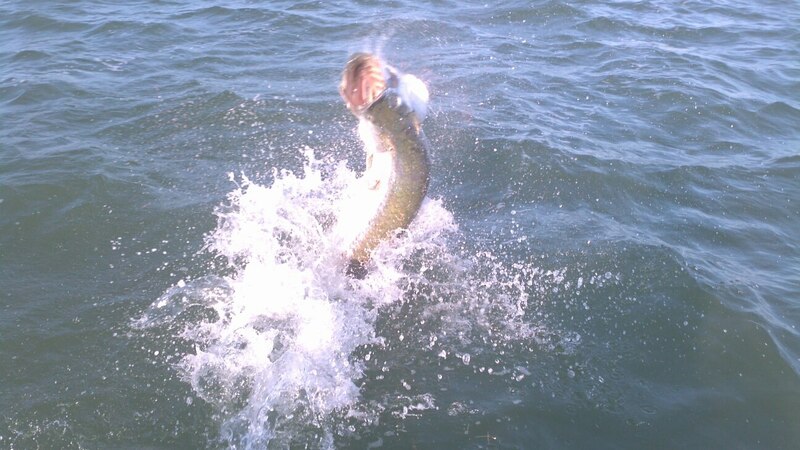 The tarpon today were all caught on dead mullet from the day before. Hopefully tomorrow will be similar, will have an hour more tide and a cooler full of good bait so will try it again! The islamorada night tarpon fishing will be getting better and better as more spawning migrators begin to arrive in our local basins and channels – look out! This entry was posted in Backcountry Fishing Reports, Fishing Reports and tagged april, tarpon. Bookmark the permalink.